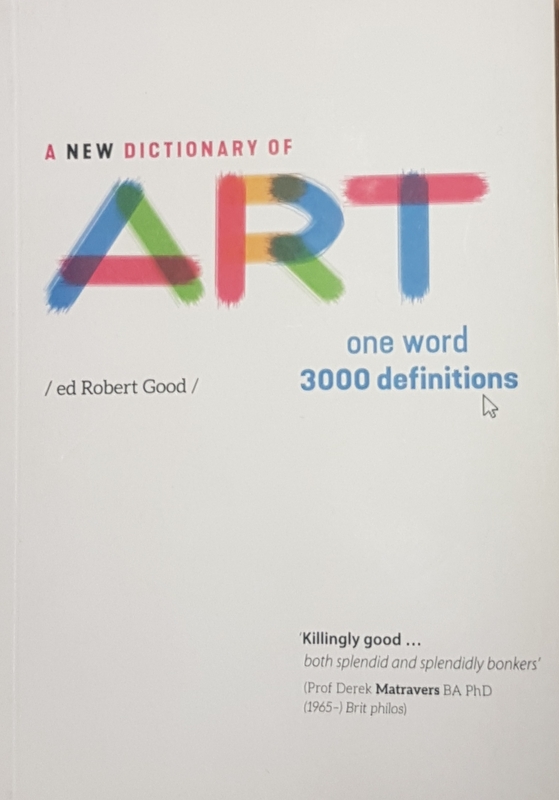 As befits our recent reopening of our ground floor this month (the first floor is due to open up in April so art books won’t be available until then), why not have a thought about what art actually is with ‘A New Dictionary of Art’ edited by Robert Good. 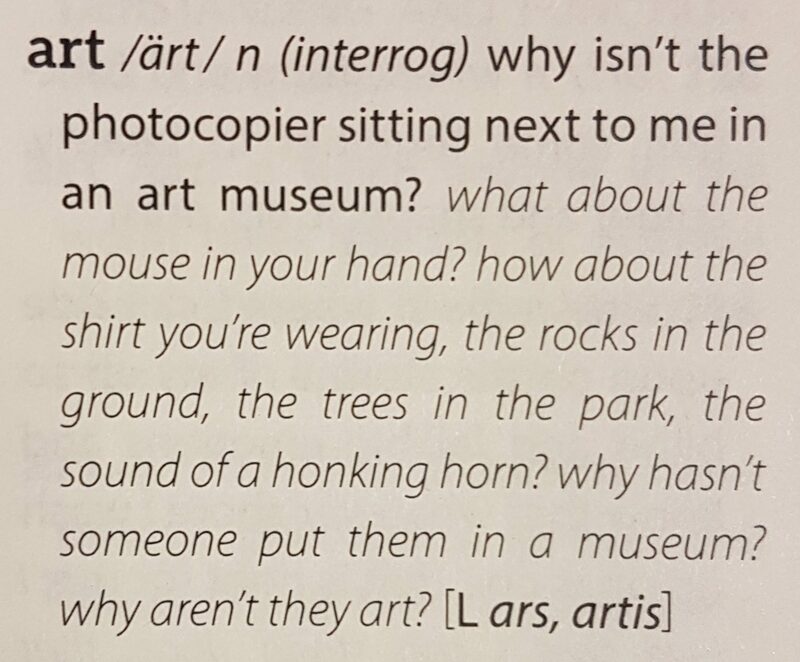 This is an interesting take on the question of ‘What is art?’ which presents over 3000 definitions of art compiled from both established sources and the internet. There’s a vulgar definition too, but it’s a bit cheeky for our blog. One of the joys about this books is how the work itself is very much a work of art! 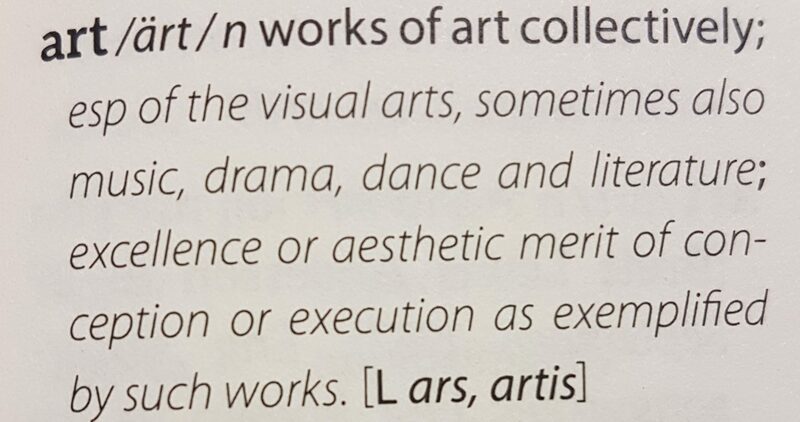 This entry was posted in Books, Staff picks, Westminster Reference Library and tagged a new dictionary of art, art book of the month, robert good. Bookmark the permalink.